Awesome new features: Samsung DeX will be back with a vengeance! So, word is that — aside from a new Galaxy Tab S4 and a new Galaxy Note 9 — Samsung is also going to present an update for its DeX platform on August 9th. The rumors are unclear about whether it'll be a new piece of hardware or a software update, but we reckon it's the latter. Let's dive in the latest leaks and you'll see why. Italian tech blog AndroidGalaxys got a hold of some exciting information about the future of DeX. There will be four great improvements to the platform and they will, reportedly, be announced alongside the Note 9 in a couple of weeks. Up until now, when you plug your smartphone in the DeX Station or the DeX Pad, its display goes dim and all of your content is displayed on your external monitor. In essence, the smartphone turns into your tiny, tiny PC. However, with the new DeX, you will be able to use the phone's display as a second screen! 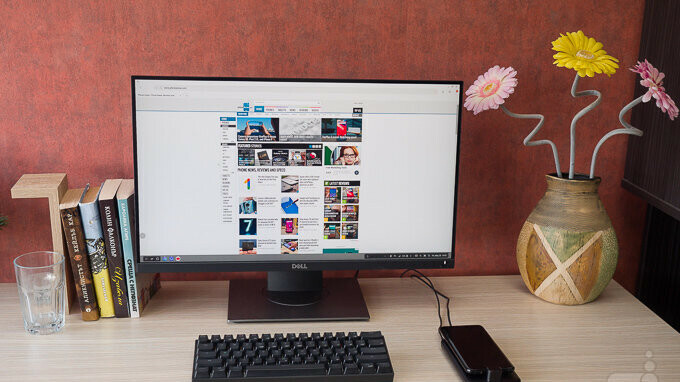 According to the leak, you will have the choice of either using it as an extension of your main display, with your mouse moving from one screen to the other, or use both for independent apps — like YouTube clips on your phone while you work on documents on the monitor. OK, this is a big deal. 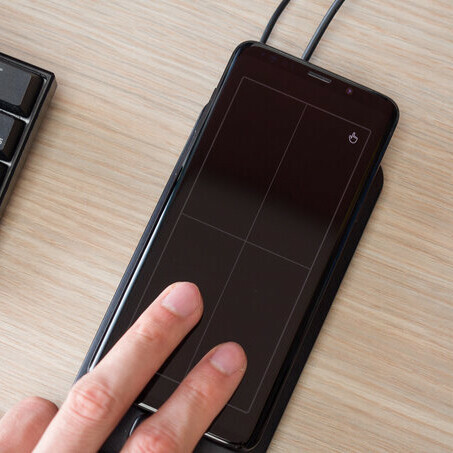 The DeX Pad already has the ability to transform your phone into a touchpad for your mouse cursor. That way, if you happen to not have a mouse laying around, you'd still be able to get the PC experience with a makeshift mousepad. With the release of the Note 9, the DeX platform will be updated to also work with the S Pen. You will have the choice of sliding that stylus across the phone's display to control the mouse cursor, but also use it to draw. The Note turns into a miniature drawing tablet, while you can look at the "big picture" on your monitor. OK, this is the second time we hear that the Tab S4 will get DeX support. But this time around, the leak mentions something very, very interesting. Allegedly, the Samsung Galaxy Tab S4 will be able to enter DeX mode without the need of an external monitor. In other words, you'd be able to enjoy a desktop experience straight on the tablet screen without the need of lugging a large monitor around. How would that work? Will you still need the DeX Pad or will you be able to just connect your keyboard and mouse straight to the tablet? We can't say, but this leak has us excited and we hope it's true. Otherwise, if you do have a main monitor, you will be able to use the Tab S4 as a secondary screen in Dual Mode, as outlined above. Get Linux on that thing! Linux On DeX is a new platform, which will allow us to run full Linux distributions in a desktop environment. This may not mean much to the casual user but will definitely draw the attention of the poweruser crowd! That Linux stuff looks like a killer feature ! You can finally do something productive with a smartphone. This will be the starting point for mobile/stationary gaming to explode. Similar to Asus Rog extras to move content into bigger screen and rule those on lesser equipment. Being productive is number one but gaming will fund this forward into the future imo. I would almost bet, 4K DeX will not be a thing until the next-next gen. hits the market. I. gen 1080, II. gen 2K, is it? I haven't had a Samsung phone for a while, so I'm a bit uninformed when it comes to DeX. Can support for existing devices be added via software update, or is it hardware-based? I recently bought a Tab S3, and I'm wondering if it's possible to add DeX support. Samsung is killing it with DEX, highly impressed that they keep improving this thing. They need to make a wireless DEX station. Huawei Mate 10 pro got this option last year, P20 , Huawei MediaPad M5 also have it built in, why should Samsung need a dongle ala DEX to do the same ? You can use a usb-c dock on the Huawei without problem to get hdmi, usb ports, vga port and so on. I'm a Note8 user and miss this without a "Dex"
Pros of DeX station/pad, cooling and allow extra dock for keyboard, mouse and external storage. Galaxy Tab finally having DeX UI? Now that's worthy competitor with iPad, lite Windows 2 in 1 tablets and tablet form Chromebook.